Within the past three years, over a dozen different brands of Peruvian Pisco have become available in the United States, many funded by American investors eager to capitalize on the emerging trend. More brands are predicted to launch in 2011. All eyes are on Pisco now. As Latin American cocktails and cuisine increase in popularity, Pisco is again poised to be the most celebrated spirit in the Americas. The Comision Nacional del Pisco of Peru (CONA PISCO) reports that exportation of Pisco from Peru into the United States during the first three fiscal quarters of 2010 rose an astounding 81.1 percent. The U.S. receives the largest amount of Pisco exported from Peru, acquiring 40.2 percent of total exportation. Importation figures for the fourth fiscal quarter are predicted to surpass the previous nine months due to the increased popularity of Pisco during the summer months in the United States. Within the past three years, over a dozen different brands of Peruvian Pisco have become available in the United States, largely funded by American investors eager to capitalize on the emerging trend. More brands are predicted to launch in 2011. 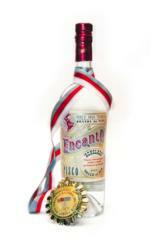 Campo de Encanto, winner of the Best in Show award from CONA PISCO, is poised to lead the Pisco category in 2011. “Encanto is simply the best spirit to hit the market in a long while,” said Jonny Raglin, award-winning Mixologist and Saloonkeeper of Comstock Saloon, San Francisco. Campo de Encanto began distribution with Southern Wine and Spirits in California on June 17, 2010 and immediately sold out. Then on November 5, 2010, Campo de Encanto beat out 304 different Piscos and received the Gran Medalla de Oro in Lima. The legacy of Pisco in the United States began in San Francisco in 1839, before the Gold Rush, when Pisco found a foothold and gave birth to the infamous Pisco Punch — the cocktail that made Mark Twain lose his cynicism and Rudyard Kipling seek poetic words to match the lyric in the liquid. What followed in Lima was the Pisco Sour, the National Cocktail of Peru. Today, Campo de Encanto Pisco brings it all together: Peru and San Francisco, staid old-vine grapes and the boom of the gold rush, the refinement of a superior spirit sipped quietly and the kick-in-the-teeth euphoria of a Barbary Coast saloon. Campo de Encanto is handcrafted in the Ica Valley, the origin of and home to the historic Port of Pisco, Peru. Campo de Encanto was founded by a wholly unique partnership: Duggan McDonnell, a San Franciscan Master Mixologist, Walter Moore, a Sommelier, and Carlos Romero, a Peruvian Master Distiller. Together they have produced a clean, white spirit harvested from old vines, fermented, distilled, and blended entirely by hand. It is distilled only once: nothing added, no sugar, no preservatives. Not even a drop of water. Encanto is a return to purity in spirits, a vital ingredient in cocktails during this rebirth of the cocktail. It is a spirit that sommeliers and disc-jockeys demand equally, calling for its smooth yet complex flavor profile of chocolate mint, jasmine, peach and white pepper, and of course, its unique heritage. More pure than vodka, with more kick than tequila, Encanto takes Pisco out of the blender and onto the top-shelf, its depth recalling forgotten recipes and new variations, always bridging the past and future in Peru and San Francisco. Campo de Encanto Pisco is imported by Haas Brothers of San Francisco, and available through Southern Wine & Spirits of New York and California. For further information, please contact Duggan McDonnell at duggan(at)liquidthinktank(dot)com. Press kit available upon request.